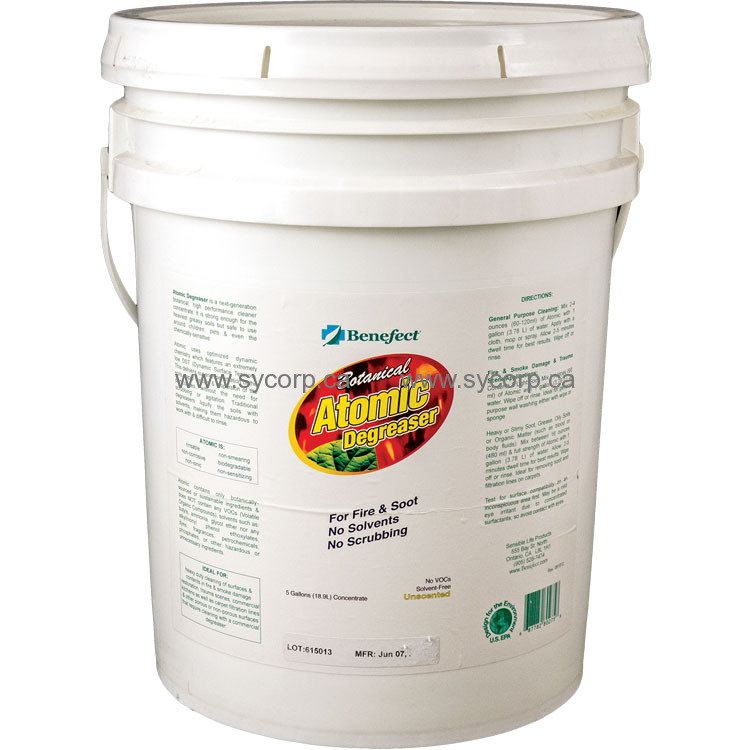 Benefect®'s Atomic Cleaner is a heavy-duty Cleaner & Degreaser Concentrate based on next-generation dynamic chemistry that dramatically outperforms the competition without using hazardous synthetic chemicals. • No Fragrances, Dyes, Petrochemicals, Phosphates, EDTA, NTA or other hazardous or unnecessary ingredients. Made from botanically-based ingredients, it is readily biodegradable & safe to use around children, pets & the chemically-sensitive. Benefect®'s Atomic Cleaner for Fire & Soot is a product we are very proud of & you will not be disappointed when you try it! RTU pH: 10.9-11 Dilution Ratios: Contents and Light Soot: 2-4 oz./Gal.